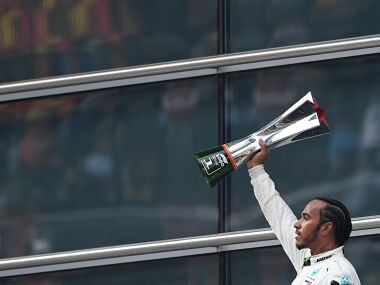 Hamilton’s success — the third time he has taken the title without finishing on the race podium – elevated him to a supreme club alongside Fangio with only seven-time champion Michael Schumacher ahead of him. He was adding the 2018 crown to his championship wins in 2008, 2014, 2015 and 2017. 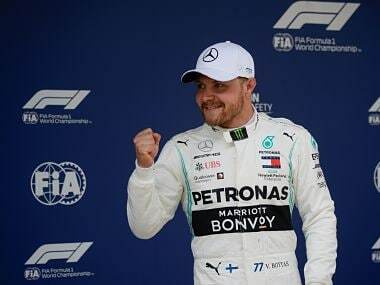 The 33-year-old Briton's only remaining championship rival Sebastian Vettel of Ferrari, who needed a victory, with Hamilton outside the top seven, to keep his hopes alive, finished second. He celebrated by executing 'doughnut' wheel spins for the cheering crowd before leaping out of his car and into the arms of his team. After being congratulated by Vettel, Hamilton said: "It's a very strange feeling right now." 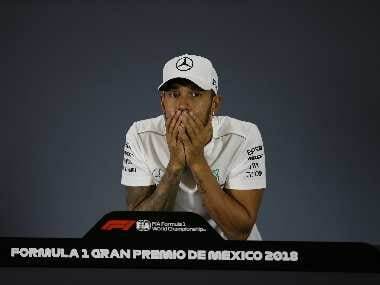 After surviving what turned into a battle of attrition at the Autodromo Hermanos Rodriguez he added: "It was a horrible race… I really don't know what happened. 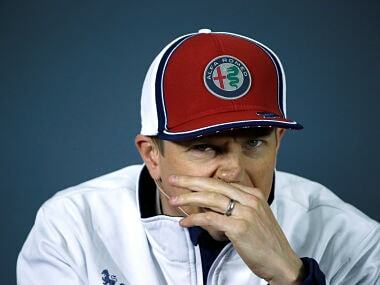 "We were struggling both Valtteri (Bottas) and I and we had to just hang on and bring the car home. "I’ve been with Mercedes since I was 13 and to complete this, when Fangio had done it with Mercedes, is an incredible feeling and it is very surreal to me at the moment. "I just feel very very humble, of course I dreamed about this but I never thought I'd be standing here as a five-time champion." Four-time champion Vettel heaped praise on his rival. Reflecting on his season Hamilton added: "It has been the toughest year physically, mentally and personally with everything I'm committed to, but I have amazing support. "Mercedes and my team have just been the most incredible unit and worked to raise the bar. In my mind it is just another day of fighting and I have more races to win, it is not over. "In my mind I have to work, go to the debrief and try to win in Brazil. "I didn't sleep very well last night,” said Verstappen. 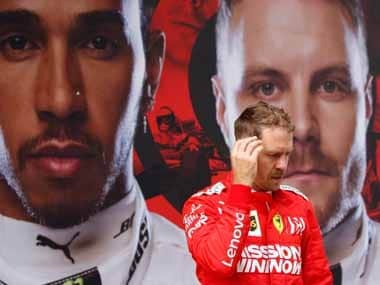 Vettel for one wants Hamilton back as strong as ever in 2019. "I told him to keep pushing for next year, as I need him good to fight him again," said the German, who with Raikkonen is aiming now to deliver the constructors title to Ferrari in the last two races.